Posted on 28th November 2016 at 09:23. Christmas. One single word that stirs sentiment of optimism and fear alike in the world of the online business. 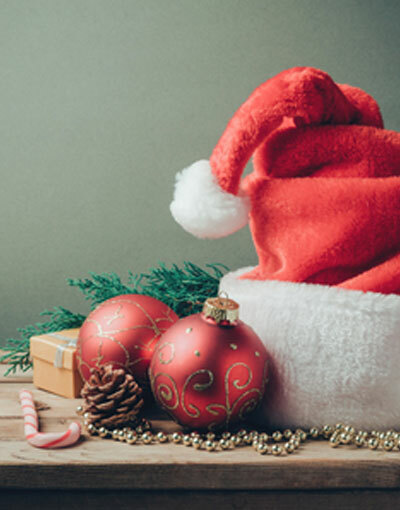 Depending on the way things pan out, the festive period can be a dream come true or nothing but a nightmare for the online retailer. And while it may seem as if we’re only just kissing goodbye to the autumn, the 2016 Christmas period really is quite literally on our doorsteps once again. Which is why now is a critically important time to begin asking – are you ready? Have you got anything concrete planned for the Christmas period? Do you in fact intend to plan anything at all? Or are you just going to wing it again and hope for the best? Whatever your views, make no mistake regarding the value and importance of early planning. To be honest, getting up to speed right now won’t give you a head start, as chances are your rivals have been planning for Christmas since the spring. Still, it will at least give you a strong chance of keeping up, which is way better than falling behind. We’re approaching the time of year that gives online retailers a unique and golden opportunity to tap well and truly into a temporary global epidemic of happiness, positivity, generosity and goodwill. It’s no coincidence that most bigger brands spend the lion’s share of their annual marketing budgets over these few months alone. It’s all about capitalising both on emotion and the desire in most instances to spend far more than the average consumer usually would. Which means that you, as an online business owner, need to make the most of it. If you don’t know where to start, the first step comes in having a look around and taking into account what everyone else is doing. We’re not talking about ripping anyone off wholesale, but rather having a look at how leading brands and businesses are marketing their brands, products and promos over Christmas. Of course, this is the time of year when impulse purchases and online shopping in general become more about giving gifts than self-indulgences. As such, it’s a good idea to start focusing both on the items you sell that make ideal gifts and coming up with deals, discounts and special offers appropriately. Everyone is out to buy something for someone – it’s your job to ensure they shop with you. Christmas competitions can also be massively influential, even with a relatively modest prize or reward up for grabs. People at this time of year are just so more inclined to get into the spirit of things than they’d be at any other time of year – hence why so many big names run epic festive contests. Come up with something creative and fun for maximum impact, rather than a simple prize draw that demands no real imagination. Last but not least, never overlook the importance and value of giving your site as a whole a good overhaul for the Christmas period. Contrary to popular belief, having the whole thing made over in a festive fashion need not be a difficult, long-winded or expensive job. You need to make sure your customers get that immediate sense of all-things Christmassy the moment they arrive – a few visual tweaks often making all the difference. Connect with your audience: Social media marketing success in 2017Why do I need a Google account?